Look what I found on http://roflrazzi.cheezburger.com/scifi Set Phasers To LOL. 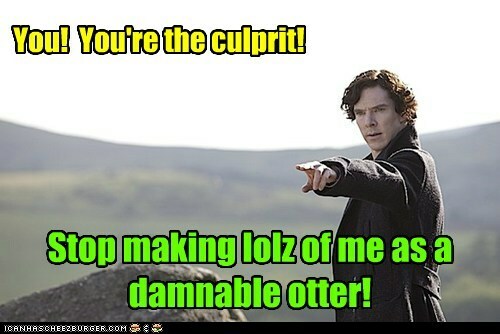 Your Benedict otters have escaped and gone feral on the internet ! Well, that's me told in no uncertain fashion! It's only Sherlock who's complaining, and he's fictional, so it doesn't matter. I think you can feel free to go on lusting after Benedict himself.